This is episode 65 of The Drone Trainer Podcast! This week is a great chat with Marc Le Cornu of the Channel Islands. Check this episode out and subscribe on iTunes or Google Play so that you don’t miss this or any of the future podcast episodes! 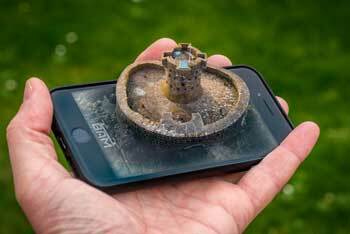 Marc Le Cornu is a drone pilot based in the Channel Islands. He’s currently a full time firefighter, but as of next week he’s going to be retiring from public safety and taking his drone business full time! He’s been running his commercial drone operation for a few years now, but once he retires from fire, he will be able to really hit the air and take on everything that comes his way. Speaking of that topic, Marc made comment that he’s had to turn down a few jobs and opportunities due to his day job getting in the way. That’s all going to change next week though! Marc’s current drone fleet consists of the Mavic 2 Pro, Phantom 4 Pro Obsidian, and Inspire 2. Quite the nice fleet, and his current favourite is the Phantom 4 Pro as he says it performs better than the Mavic 2 Pro in low light. He has plans to tackle the low light even more with a future purchase of the Zenmuse X7 for his Inspire 2. Back to his public safety drone operations, Marc’s team had been flying the Matrice 210 series. Had is the keyword there, as they’ve since taken it out of service. Can you guess why? They were unfortunately victim of the DJI TB50 and TB55 battery firmware failures, and their drone fell out of the sky. Marc went through all of the regulatory followup after their incident, and everything has been administratively cleared, however they’ve lost all faith in their M210 unit. It’s truly unfortunate as the M210 is a beast that suffered a major flaw. Anyway, here’s hoping that they get their systems back in the air shortly. Marc also makes mention of working on a series called JT Presents, and wooooo is it ever nice! Check this out! 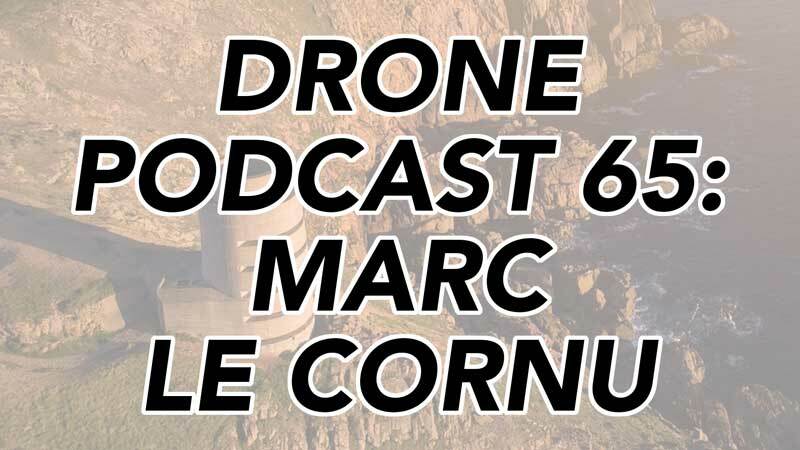 I hope you enjoyed this week’s drone podcast with Marc Le Cornu! Once you’ve had a listen, feel free to leave a comment below so that Marc and I can hear what you think! Check out Marc’s work and follow him on social media! Want to be extra awesome? All I ask is for you to leave an honest review on iTunes. Your ratings and reviews really help the show to be discovered by others, bring on more guests, and the best part is that we read each and every one. Ok, one more ask, be sure to subscribe on iTunes so that you don’t miss any episodes! If you’re on Android or anything else, you can listen and subscribe on Google Play as well. Thanks again for listening, and talk to you next week!